This short-lived 1949 mystery anthology series is notable mostly because it originated from Chicago. 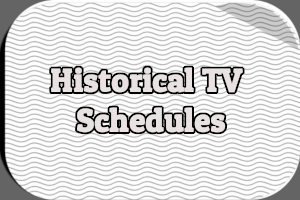 At the time, coast-to-coast or transcontinental television was still two years away. ABC operated separate Eastern and Midwest networks and much of its network programming aired live from New York City. 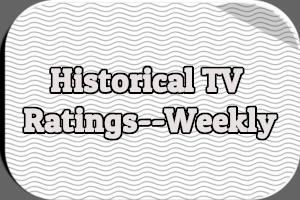 Some programs aired on both the Eastern and Midwest networks while others were carried on one or the other. By 1949, ABC’s Eastern network linked Boston, New York, Philadelphia, Baltimore, and Washington. In the Midwest, its network connected Chicago, St. Louis, Milwaukee, Toledo, Cleveland, and Detroit. 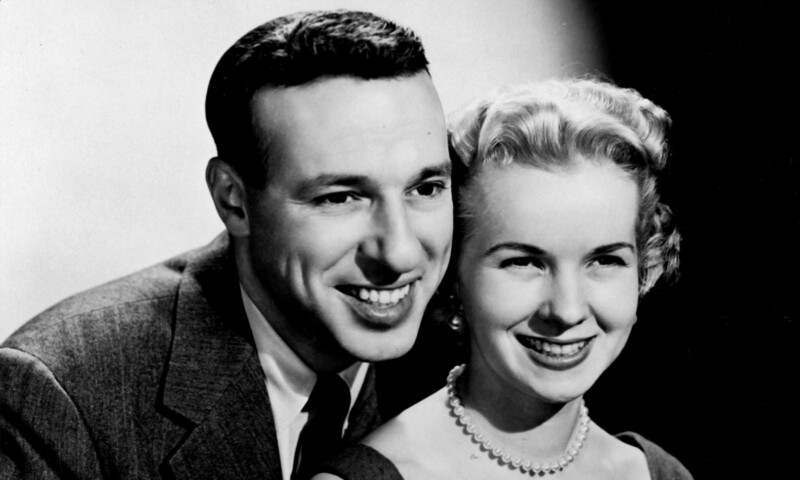 ABC launched KECA-TV in Los Angeles in September 1949 as its fifth owned and operated station, joining WJZ-TV in New York City, WENR-TV in Chicago, WXYZ-TV in Detroit, and KGO-TV in San Francisco. Mr. Black aired live from WENR-TV in Chicago on ABC’s Eastern and Midwestern networks. 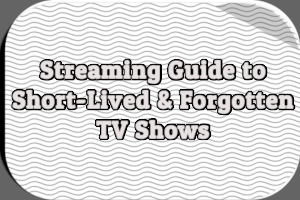 The series aired on a sustaining basis, meaning it had no commercial sponsors. There’s a chance episodes were kinescoped for stations not connected to ABC’s Eastern or Midwest networks. If ABC did make kinescope recordings, none are known to exist today. 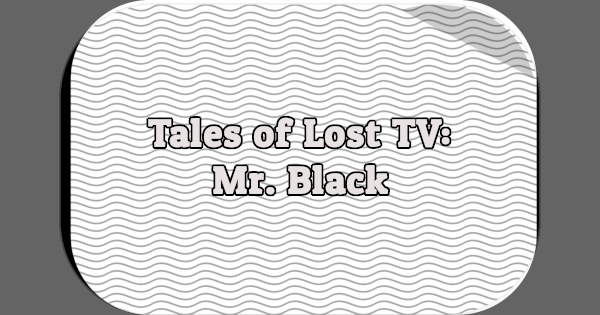 It’s unknown whether Mr. Black aired on either of ABC’s stations in California. Little is known about Mr. Black. Even the name of the actor who hosted the series, portraying the creepy Mr. Black, is unclear. A contemporary review in The Billboard refers to the actor as Andy Christopher, as does The Complete Directory to Prime Time Network and Cable TV Shows, 1946-Present and the Internet Movie Database. Several other sources, including Total Television and the Classic Television Archive, give his name as Anthony Christopher. This low-budgeted seg, another new TV show originating in Chi via ABC, shows promise. Initial airing of the mystery series suffered from a few production mistakes, some over-acting and a script that at times was implausible, but the suspense element kept viewer interest and indicated real potential strength. Mr. Black is depicted as a spiritual creature of the lower regions who finds foibles of the human race delightful and takes particularly fiendish glee in crime and violent death. Initial program was built around a game of Russian roulette played by four racketeers to determine division of territories. During the game one was murdered. Weak writing was apparent in last few minutes of the show when the crime was solved. Solution was too patent and was telescoped into a few overly dramatic, almost hammy moments. The detective role was not played as well as those of the four gangsters and injured suspense maintenance. The role of Mr. Black at times was made comical by over emphasizing attempts to make the character fiendish. Part should be given a lighter touch and inferior acting must be eliminated. With these changes series could become commercially attractive. According to The Billboard, Bill Ballinger was the writer for Mr. Black and Tony Rizzo the director. The cast for the debut episode included Jim Codel, George Mitchell, Jim Dexter, Wiley Hancock, and Howard Keegan. ABC pre-empted the series on October 3rd for a football game. The following week, Mr. Black shifted to the 9-9:30PM ET/8-8:30PM CT time slot. 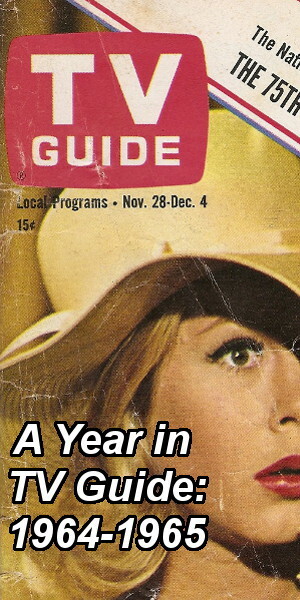 Later that month, financial problems led the network to cancel several of its sustaining programs including Mr. Black, Barn Dance, and Actor’s Studio. In an effort to save money, the network’s flagship station (WJZ-TV in New York City) cut back its broadcast week by two days, going dark on Monday and Tuesday. According to Broadcasting*Telecasting, both Mr. Black and Barn Dance continued to air on other ABC affiliates, just not WJZ-TV. However, other articles and newspaper listings confirm the two shows went off the air following their November 7th broadcasts. 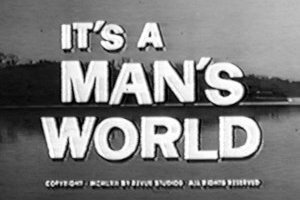 Assuming TV listings in The New York Times are accurate, a total of seven episodes of Mr. Black aired between September and November 1949. “ABC Cutback.” Broadcasting*Telecasting. 14 Nov. 1949: 53. “ABC Report.” Broadcasting*Telecasting. 3 Jan. 1949: 26. “ABC Stages TV Cut-Back.” Billboard. 29 Oct. 1949: 7. “Telecasting Network Showsheet.” Broadcasting*Telecasting. 26 Sep. 1949: 72-73. Wagner, Cy. “Mr. Black.” Billboard. 15 Oct. 1949: 12. Does the review of Mr. Black intrigue you? Are you sad no episodes are known to exist? Hit the comments with your thoughts. A gleeful spiritual creature of the lower region is a creature I’d prefer not to see, but for historical reference it would please me to learn that an episode of Mr. Black had been discovered for others to watch. It’s unlikely any recordings of the show exist, but it’s possible that scripts still exist somewhere. For shows originating out of Chicago you may want to try checking on of the Chicago daily newspapers for listing (prior to May 48) and then TV forecast (et al). Chicago had 3 daily papers at teh time the Tribune and the Sun Times are still around. Chicago Dily News was alos around then. I recall when I was doing research on early TV shows that the Sun-Times (that is on microfilm at a few libraries in the PRI) had better listings in the early 5s than did the Tribune. Did not need to look much earlier.